Anna tells us: “the mill attracted me since I was a little girl. The house was closed and out of order, but the river and the valley were magical…so, when I went to visit it, I fell in love with this old place: the grotto, the millstone, the old tools…I decided that I would live there and create my own activity coltivating flowers.” The mill was restored very carefully, with great respect for the old structures. Today it has become a very special place, where Anna gives her own personal touch to the traditional local dishes by using flowers and herbs as well as biological local products. Besides she started to cultivate a piece of land as part of a project to bring back ancient plants. To be able to be in a place with it’s history, it’s fruit, flowers and herbs gives you the additional gift to enjoy all this with all your senses. In the 12th century Becchinianian monks, barefooted and dressed with sheepskin, crossed the Metauro river to have their grain ground. In those times nobody called the mill “Mulino della Ricavata” but there might already have been somebody, who found gold pieces in the river. About the middle of the15th century, when Federico da Montefeltro started the construction of the Barco, his hunting residence, the name already had been changed to “Mulino di Orcavati” and that’s how it remained for the next centuries, while the Dukes of Urbino sailed the Metauro on their boats, to reach the Barco. One fact is certain, that in 1861, when Terenzio Grossi and his gang of robbers attacked the mill, it’s name was “Mulino di Arcavata”. 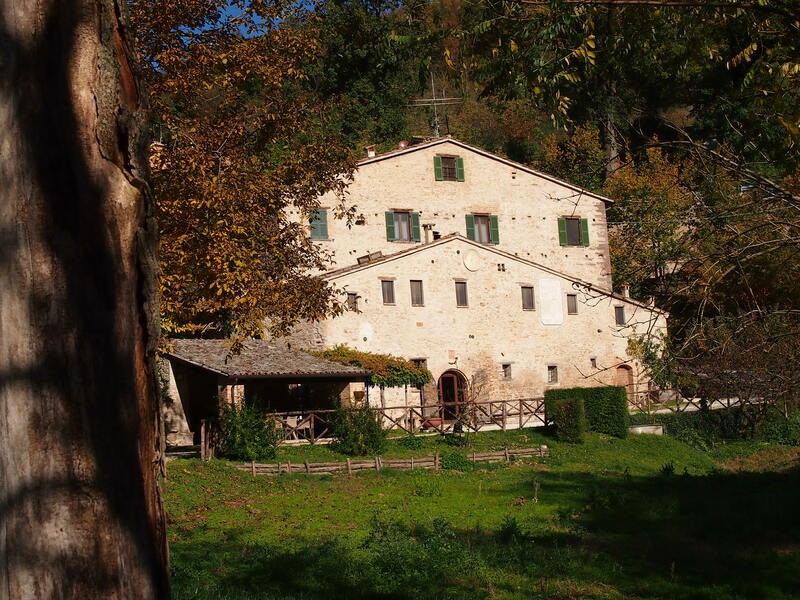 “Mulino della Ricavata” is it’s today, grinding was stopped, it has become an Agriturismo, a place where to rest and relax. For our guests there three four beautiful double rooms. Each of them has an own bathroom.